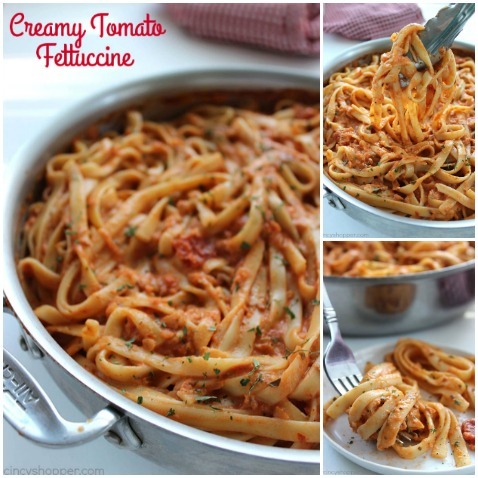 This Creamy Tomato Fettuccini will be perfect for a dinner side dish or even a meal. 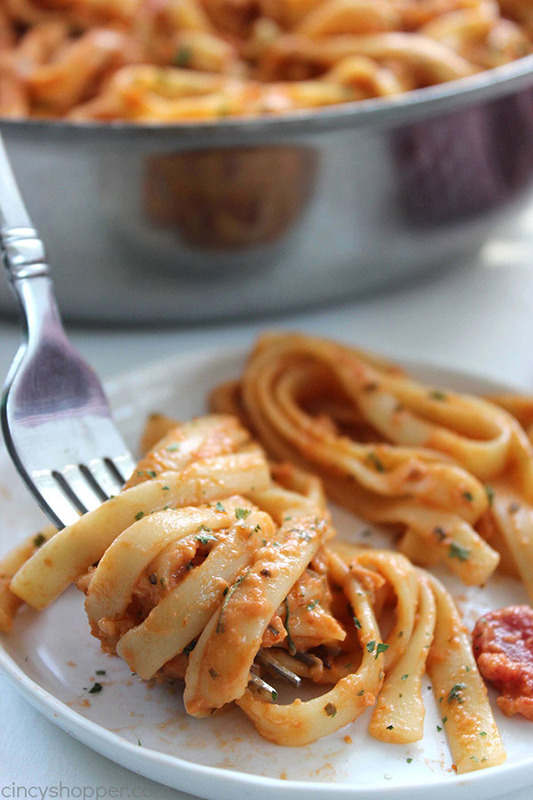 The pasta dish is creamy, full of flavor, and so easy to make. My family LOVES it! 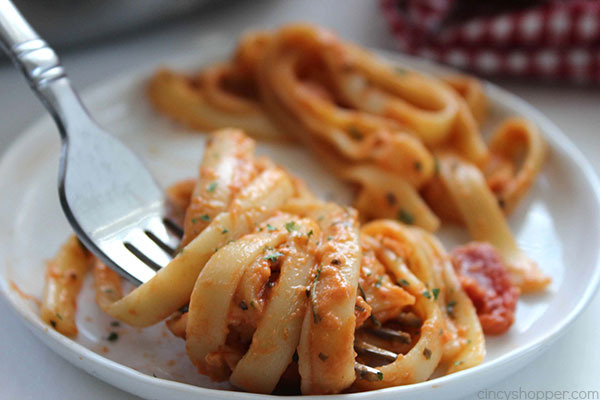 My family loves pasta dishes so I make them frequently. I make our American Goulash quite often for a main dish. It’s a filling and inexpensive meal. With our meat, I will quite often make Stovetop Macaroni & Cheese because I know that it can be a filling side dish that everyone likes. Recently, I have been making our favorite Garlic Parmesan Noodles for our side dish. The hubby and kiddos really like them. I like that they pair well with just about any main dish that I make. 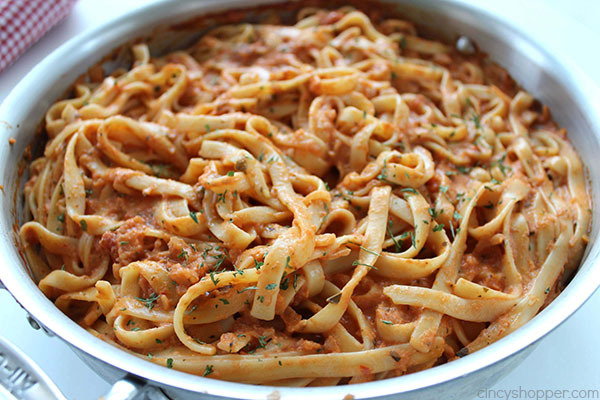 I was needing a side dish for our chicken last night and decided that it was time for me to make our Creamy Tomato Fettuccini side dish. I have not made it in a very long long time. It’s like I forgot about it over the summer. All the wonderful salads for side dishes makes me forget about all the warm comforting sides I make during the fall and winter months. 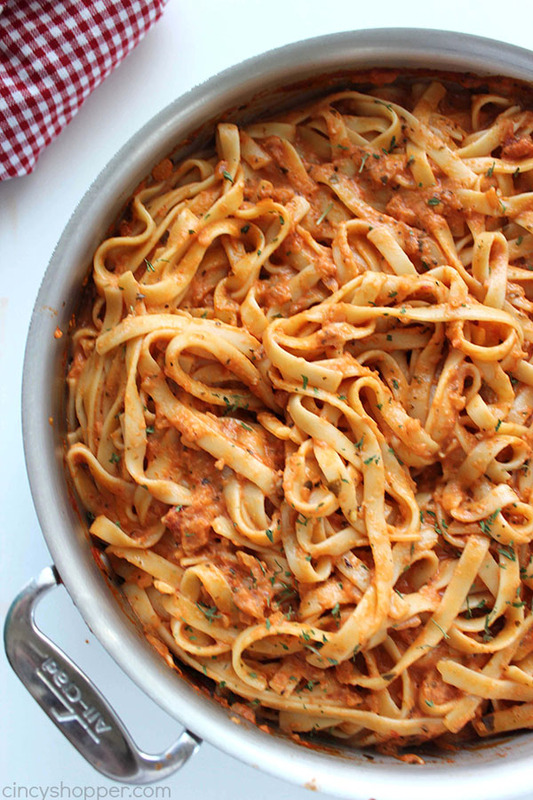 This creamy tomato pasta sauce is one of my all time favorites. It’s so simple to make. 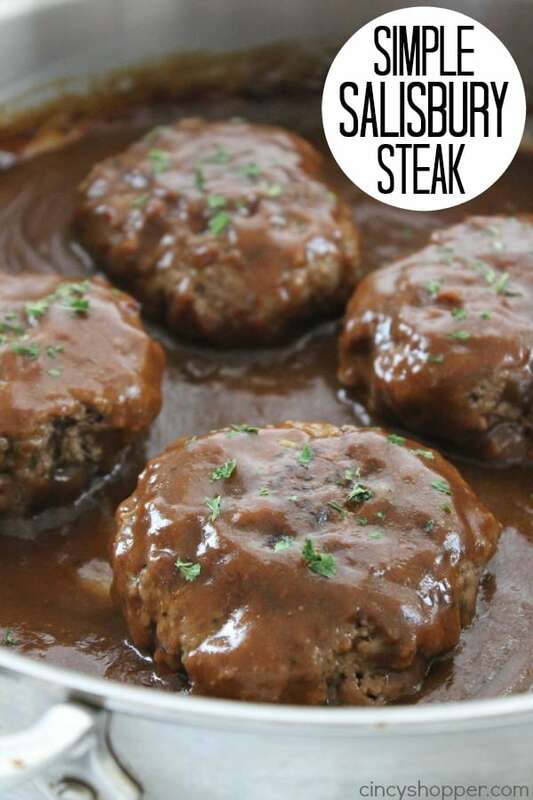 You will find it creamy and full of so much flavor. 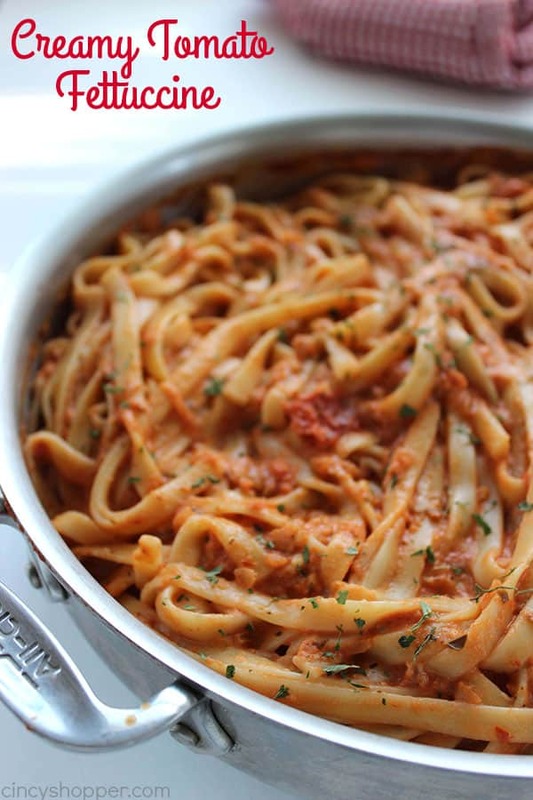 The entire family loves this dish so I usually do not have any leftovers. If I happen to have any leftovers, I seal them in a Ziplock bag. When we want to enjoy the leftovers, I place the whole bag in a pot of water on the stove to warm them back up. I will serve up our noodles for a side dish with chicken or beef. Sometimes I will add sausage to my sauce and make it a meal. So YUMMY! 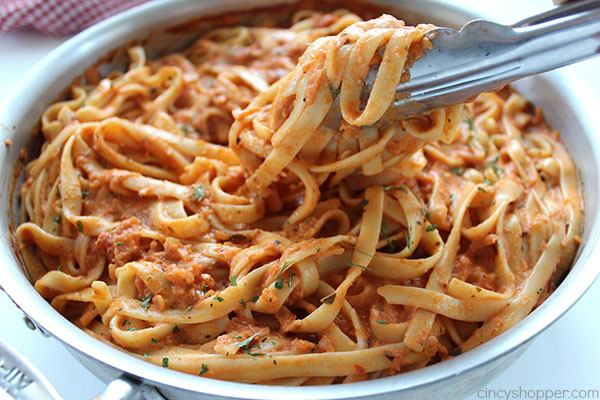 All that is needed to make your own Creamy Tomato Fettuccini is a jar of marinara (I will use just plain tomato sauce if I do not have marinara on hand), whipping cream, onion, garlic, parmesan cheese, a few spices, and some noodles. 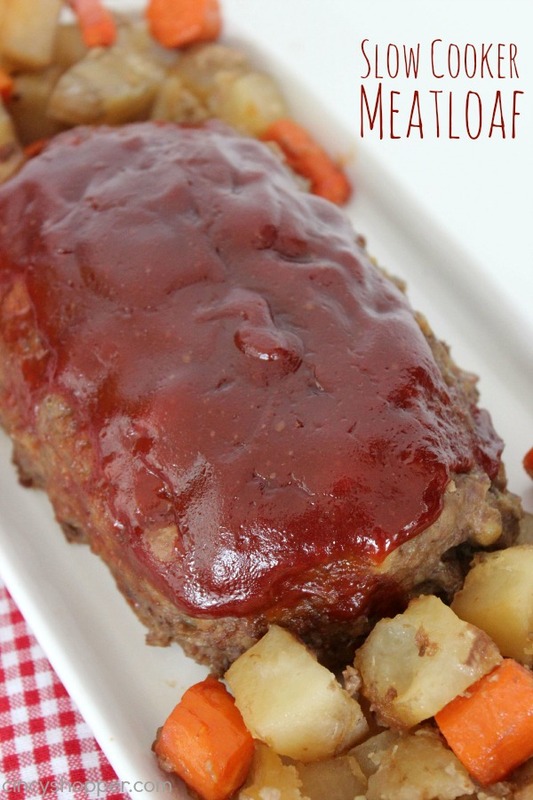 I can have this ready in about 30 minutes. Perfect for feeding a large family like mine. In a large pan heat olive oil over medium heat. 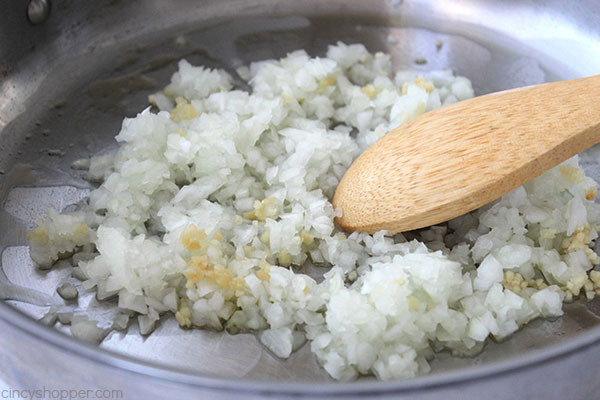 Add onions and garlic and sautee until just tender. 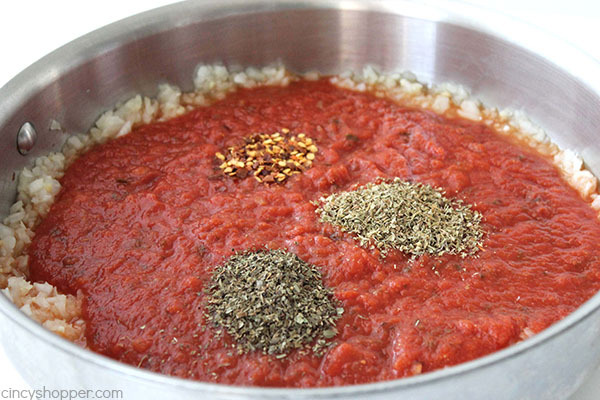 Add marinara sauce, basil, oregano, red pepper. 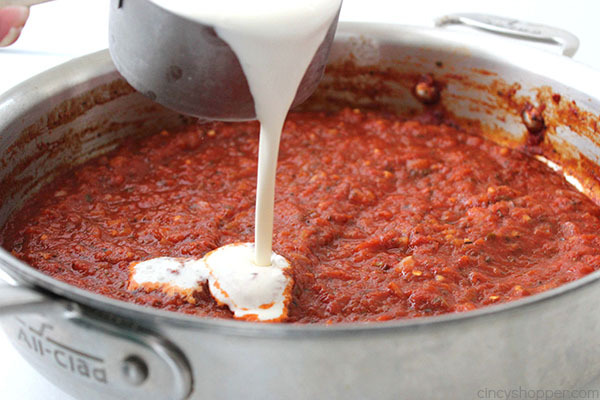 Stir and simmer over low heat for 20-25 minutes. Stir in cream until well blended. 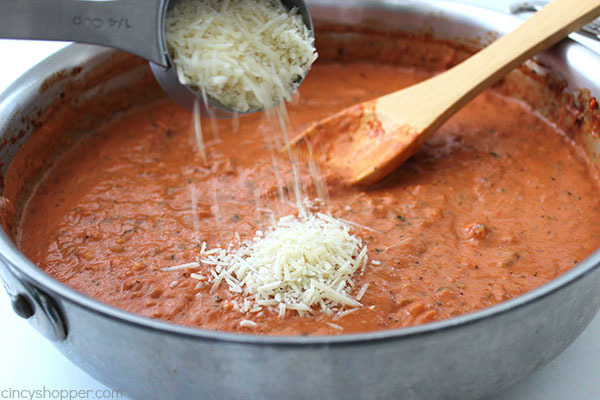 Add in parmesan and stir until blended. 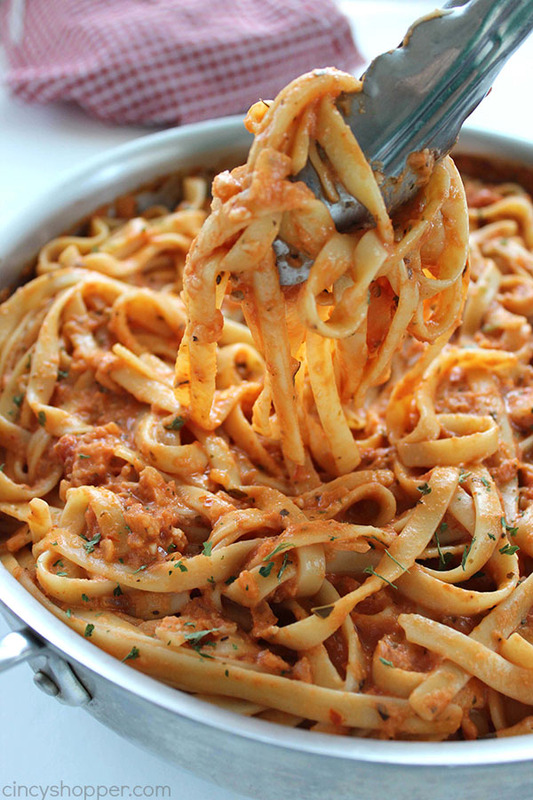 Add drained fettuccine and toss to coat. 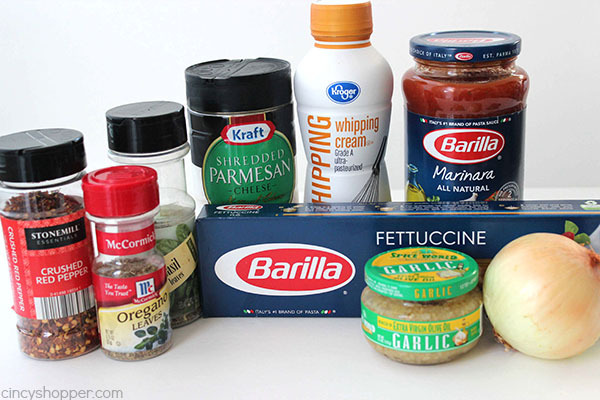 Do you have a favorite pasta side dish that you make frequently? 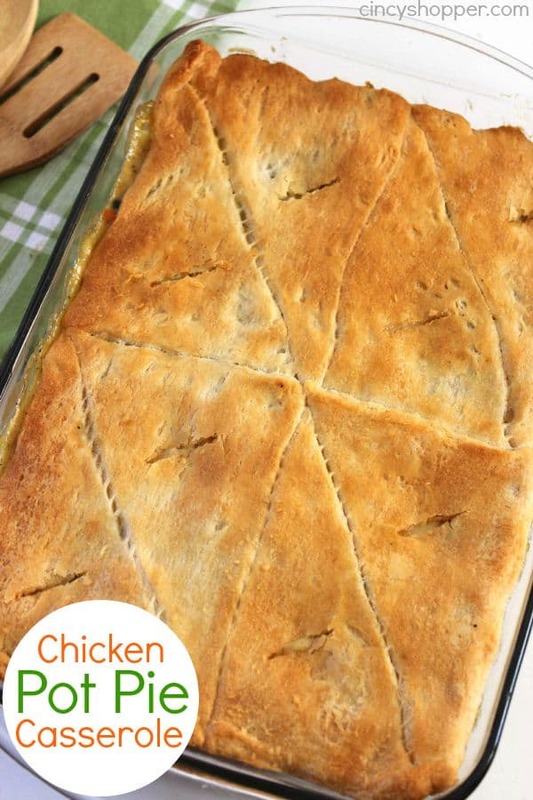 This looks delicious….I’ve discovered so many good recipes since I found your site. I love that your recipes are budget friendly, on-hand ingredient friendly, family friendly AND tasty! I enjoy the email blog and recipes. Thank you.